Hunters that live in the Midwest and those that travel there each fall to hunt may need to change their strategies and/or stand locations this fall. This is because of corn – or the lack there of! There are usually 90 + million acres of standing corn throughout the Midwest during the beginning of deer season. Standing corn provides both cover and food. In many areas, standing corn is the best cover for deer within their range. In addition, corn’s grain is good source of carbohydrates which deer aggressively seek during the fall. This is in part because deer are genetically programmed to store fat to survive winter. Knowing this preference for corn has helped many hunters pattern mature bucks. Once the corn is harvested deer become easier to pattern as their available sanctuaries are limited and easy to locate. In addition, deer continue to return to the harvested corn fields seeking the grain spilled by the combine. This cycle will not occur in many areas of the Midwest during the 2012 deer season. 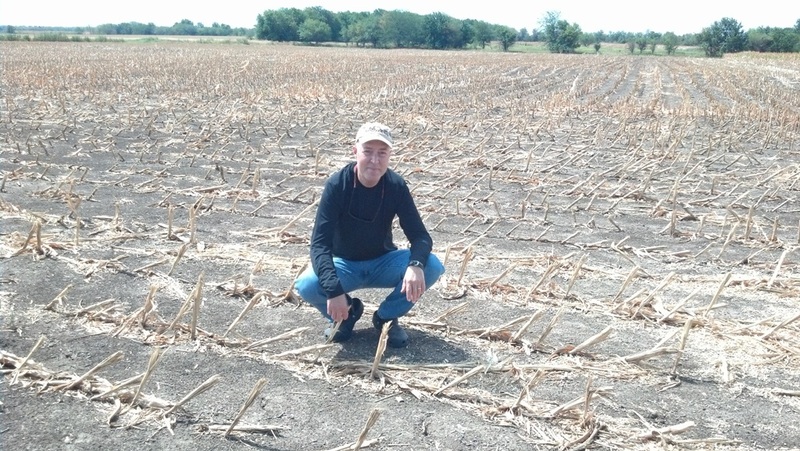 Due to the drought corn crops in many areas won’t produce a good yield. Many, many farmers are currently cutting their corn crops as silage in an effort to salvage what’s available before it withers away. Unlike harvesting ripened corn, cutting corn for silage involves harvesting the entire stalk. There is no grain spilled as part of the harvest. This leaves no cover (not even enough stalks to hide a deer) and certainly no grain to attract deer. This will cause a major change of how and where deer use their home range. Some bottlenecks, travel corridors, etc. won’t be used by bucks as they have been in the past. Likewise, deer will use other portions of their range much more than during “normal” years. This is not a year to simply assume that traditional stand locations are the best. This is a year to increase the amount of effort you scout in proportion to the magnitude of the change in food and cover availability at the location where you hunt. Like many farmers, you may have to change strategies to salvage your hunt this fall.